Updated June 30, 2015 New GWPF paper by Indur M. Goklany linked below. In the excitement over the Pope’s encyclical and upcoming Paris conference, people are not talking about how CO2 mitigation (treaties, carbon pricing or regulations), if successful, would put civilization onto an unsustainable path. 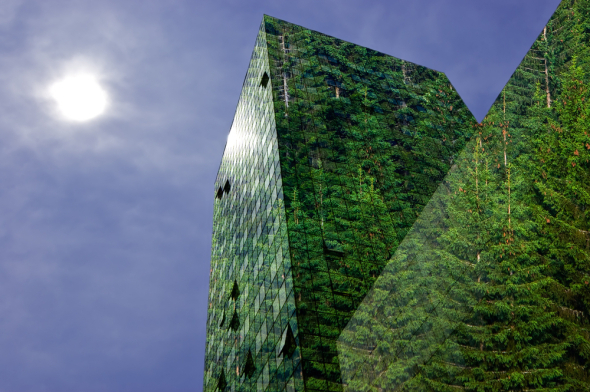 The Ecomodernist Manifesto promises a much needed reformation in the green movement. Its 95 theses should be nailed to the door of the Vatican when the pope’s green-tinged encyclical comes out next month, because unlike the typical eco-wail, it contains good news for the poor. It says: no, we are not going to stop you getting rich and adopting new technologies and leaving behind the misery of cooking over wood fires in smoky huts with no artificial light. No, we do not want you to stay as subsistence farmers. Indeed, the quicker we can get you into a city apartment with a car, a phone, a fridge and a laptop, the better. Because then you won’t be taking wood and bushmeat from the forest. Now, I am not thrilled with using the term “manifesto” or with references to the “anthropocene” era, but there is a positive direction in this. These folks are saying we can use fossil fuels in a way that benefits both humans and nature, and in fact, if we don’t do so, our civilization is not sustainable. Using fossil fuels is good for people and the planet and is the only sustainable way forward. Strong stuff, but it doesn’t fit into the usual boxes. But the statement is fatally flawed. It is riddled with sins of omission and commission bolstered by wishful thinking. For instance, it ignores decades of well documented empirical data that show that human wellbeing has advanced throughout the world and that the terrestrial biosphere’s productivity has increased above preindustrial levels, allowing it to support more biomass, in no small part because of carbon dioxide emissions from humanity’s use of fossil fuels. The advances in human wellbeing include reductions in poverty, hunger, malnutrition, death and disease, and increases in life expectancy and the standard of living across the world. The poor have been major beneficiaries of these advances.